Alistair McLean describes how the National Construction Code sets out the many climate zones across the country and explains how that can help those specifying insulation. 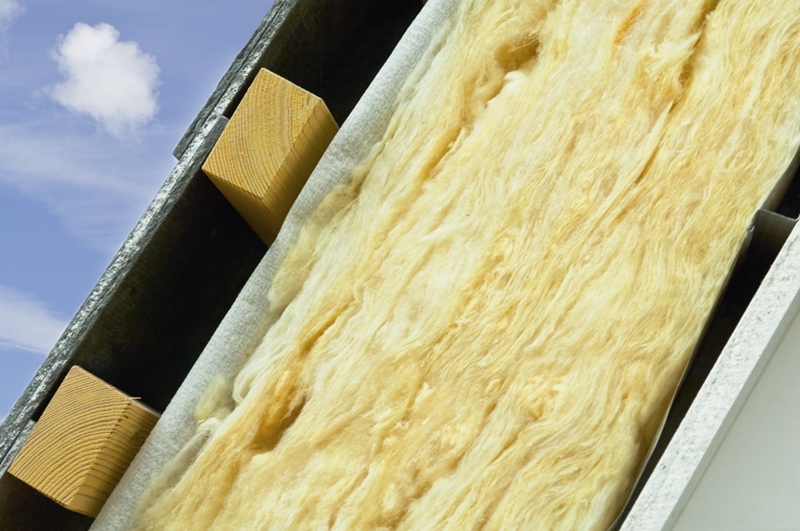 Is home insulation the least interesting of all residential building products? For new home buyers it can't readily be seen, touched or smelt. There is the vague assumption that it is there in a new home, and that it complies with the necessary star energy requirements. Once it is installed and sealed behind the plasterboard then it is a bit tricky to check, or upgrade, and the occupants never really think about it until that first hot day of summer, or that first chill of winter. It is one of those "out of sight, and out of mind" type products that doesn't have a high profile for the buying public, so often doesn't rate highly with architects, building designers, builders and specifiers. The resistance of insulation or a building element to a change in temperature is expressed as an R-Value. The R-Value is a measure of thermal resistance. The higher the R-Value the better the thermal performance. My experience with working with many builders is to specify what worked on the last job. Often it exceeded the minimum requirement and there weren't any issues. Architects and building designers are also guilty of this in specifying, and often over-specifying, without applying a lot of thought to it. However, specifying the most appropriate insulation is actually more than just meeting the minimum R-Value requirements and achieving an energy efficient home is a lot more than specifying the right insulation levels. Architects and building designers have long been familiar with the way appropriate orientation and window selection will have a huge impact on the thermal comfort of a home. Fortunately, the relationship between good house orientation and thermal comfort is now starting to be understood by new home buyers. ( please insert the following as a Side bar story to fit near here. BPN12APROther passive design principles can also have a great effect on the comfort of occupants. Ania Hampton is a designer who takes a holistic view of buildings in order to maximise occupant comfort. Beyond simple orientation of the home on the block, she suggests considering the layout of the house as well. She recommends putting utilities rooms like laundries, bathrooms and garages on the west side of the house to protect living and sleeping areas from the hot afternoon sun. Choose high quality insulation and glazing, says Ania, but support it with simple appliances like ceiling fans. Most people think of fans for use in summer, but they're equally useful in winter to drive heated air down from the ceiling. When determining how best to heat or cool a house, it's also vital to understand how people like to live. While double-glazing is highly effective in preventing heat loss or gain, people who have a strong preference for open windows won't reap the full benefits. Heavy curtains with a pelmet can be as effective as double-glazing in protecting against heat loss, says Ania. Finally, have realistic expectations. While everyone wants a home that can maintain a temperature of 21-24 C all year round, it's simply not realistic for most locations. Take into account your climate zone and the need for heating and cooling it dictates. Better to accept that heating and air conditioning is required, and install appropriately sized, high efficiency units, says Ania, than to ignore them altogether during design but then rush out and buy "the cheapest unit at Bunnings" during a hot spell or cold snap. Many of the larger builders who are building across a number of climatically different regions try to minimise design and development costs by standardising their range of housing products and specifications. A standard range of houses with a standard specification can lead to substantial discounts and cost efficiencies with their purchasing power. While this is true for most products specified in a home, the climatic differences between the regions should mean that the specification of insulation should very much be a localised decision. Specifiying the insulation for a new home without reference to the climate zone has the risk of being massively over-specified (and more expensive than actually required), or a more appropriate, and cheaper form of insulation may be available. One big builder that I consulted for had opened up a Queensland office and used the same specifications for windows and insulation as the Victorian office, without taking into account the local conditions. As a result, the over-specified bulk insulation, which exceeded the requirements of the National Code for the Climate Zone, did a great job of keeping out the heat in the morning. However, by evening when all the local designed houses were cooling down, the Victorian builder's house also did a great job of retaining the heat. In addition to the over-specified bulk insulation, the house also had awning style windows, so good cross-flow ventilation was impossible to achieve, while all the neighbouring houses were enjoying the cooling breeze with their large sliding windows. Types of insulation fall into three main categories: reflective insulation, bulk insulation and a hybrid style that combines elements from both. They all work in different ways, and are more suited to different zones. Most consumers would be familiar with the bulk insulation, such as the glass wool ceiling batts, which work on the blanket principle. This type of insulation resists the transfer of conducted and convected heat, relying on pockets of trapped air within its structure. Its thermal resistance is essentially the same regardless of the direction of the heat flow through it. This means that bulk insulation is a good choice for zones where reducing heat loss is the main priority such as Zone 7 Cool temperate, and Zone 8 Alpine. Houses in these two zones are likely to have some form of indoor heating, and bulk insulation will help reduce their heat loss to the external environment. The other type of insulation is the reflective insulation, which is usually shiny aluminium foil laminated onto paper and is available as sheets, concertina type batts or multi-cell batts. Reflective insulation mainly resists radiant heat due to its high reflectivity, and low ability to re-radiate heat. However, unlike bulk insulation, the thermal resistance of reflective insulation varies with the direction of heat flow through it. As reflective insulation is good at reflecting radiant heat, but not at resisting conducted or convected heat, it is probably more suited for the Zone 1 "High humid summer, warm winter", Zone 2 "Warm humid summer, mild winter" and Zone 3 "Hot dry summer, warm winter", where coping with the summer heat is a higher priority than preserving a warm interior temperature in winter. Reflective insulation is also a good choice for verandah roofs to reduce the amount of heat radiating from the underside of the verandah roof. The reflective insulation is a great material for the hotter climates where people like to open up their houses to make the most of cross-flow ventilation to cool houses in the cooler evenings. Unlike bulk insulation, there is no warm air trapped in tiny cells, so the house walls should cool down faster with reflective insulation, resulting in a cooler house faster. Other factors that can influence the selection of roof insulation are explained in "Table 3.12.1.1a Roof and Ceiling - Minimum Total R-Value" in the National Construction Code in Section 3.12.1.2. They include altitude for Zone 2, either above or below 300m, as well as solar absorptance for the roof material. The effect the colour of the roof has on the reflection or absorption of the energy from the sun has an effect on the R-Value required for that roof. So in Darwin (Zone 1), a light coloured cream roof only requires a minimum roof and ceiling R-value of 4.1, whereas if it was a dark slate grey colour the minimum roof and ceiling R-value is 5.1. The "Table 3.12.1.1a Roof and Ceiling - Minimum Total R-Value" has a row for direction of heat flow that is most important for this zone to achieve the best thermal comfort. For Zone 1 "High Humid summer, warm winter" only the downward flow, or heat from outside coming inside, is an issue, so this is a good opportunity to use reflective foil batts. For Zone 3 "Hot dry summer, warm winter" the direction of the flow of heat, both coming in from outside in summer, and leaving from inside during winter, is important, so "Downward and Upwards" has been nominated in the table, so this roof would be more suited to bulk insulation. So what do the requirements of the National Construction Code mean for those specifying insulation? This part of the National Construction Code has been introduced relatively recently, so it is worthwhile for all specifiers to become familiar with it and work out which climate zone(s) are most appropriate. Based on the required resistance to heat flow in roofs (upwards/downwards) it may be possible to review alternative types of insulation which are cheaper and perform better than what was used on the last job. However at the end of the day the specification of the insulation is only one aspect of the thermal efficiency of a house. Alistair McLean is the principal of Secret Design Studio (www.secretdesignstudio.com) where he specialises in working with mid-20th century architecture. He has worked with many of the major residential builders and developers across Melbourne in the design field and consults for residential builders.